The Park’s summer season is ended, and the less busy fall season is upon us. 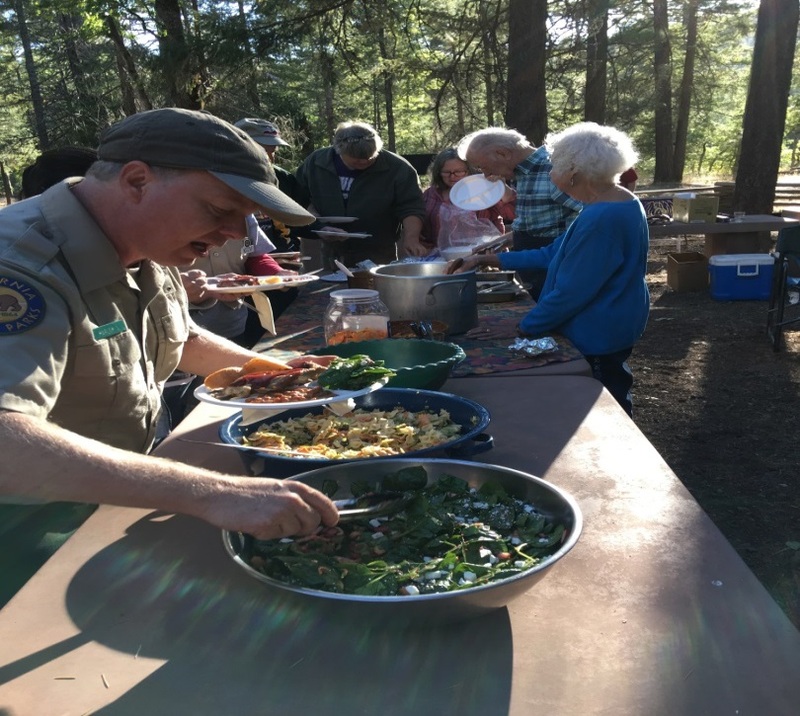 The Interpretive Association celebrated 2018 with a thank-you barbecue for Park staff and camp hosts on September 17. Park staff has put in extra effort this year, as many have been called on to deal with fire in the immediate area and near our sister parks, Shasta State Historic Park. In addition, the Park would not serve visitors as well without the volunteer efforts of our skilled and cheerful camp hosts. They extend the reach of paid staff, and bring a diverse set of histories and talents. We couldn’t do it without them! Have you made plans to attend Heritage Day this year? Sunday, October 7, Noon to 4 p.m. Entrance to the Park is free. Join us for activities reminiscent of the 1870s in this area: Old Time Fiddle music, spinning and weaving, pine bough doll making, calligraphy, candle making, rope making, blacksmithing, branding and practicing with a cross-cut saw. Make some apple cider and taste Dutch oven apple crisp. Food is available for purchase from the Burney Lions Club. 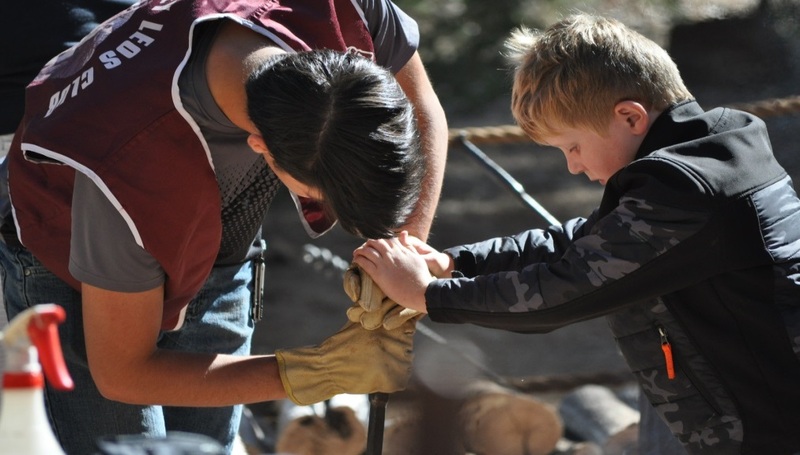 Meet community volunteers who lead each of the activities, and their young supporters from the Leos and the Boy Scouts. Plan to camp or to spend the afternoon, but come join us for some Heritage Day fun!